Roger Graham and his wife Delores have been married since November of 1990 and they have 2 children Rachel and David. Delores is an Admin Asst at Christian School for the Young Years, Rachel works at the Cape High School and David works for Chick-fil-A. 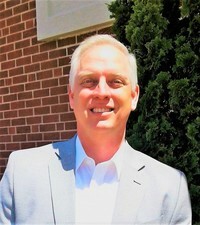 Roger graduated from SEMO in May of 1987 with degrees in accounting and finance. After graduating he moved to St Louis and worked in accounting until surrendering to the ministry in the spring of 1996. The family moved to Wake Forest, NC so Roger could attend Southeastern Baptist Theological Seminary where he earned a Master of Divinity degree in International Church Planting. From seminary they went overseas with the IMB in July of 1999 serving in multiple locations for 15+ years.